6283 ✉ 26V 10 Pfg. 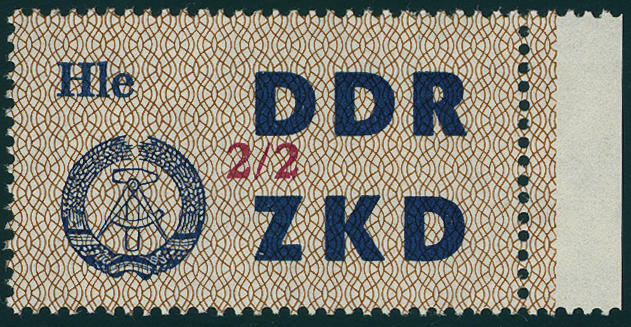 Bright gray blue / black, V (Halle), horizontal pair as faultless multiple franking on beautiful commercial letter from \"HALLE 7.5.60. 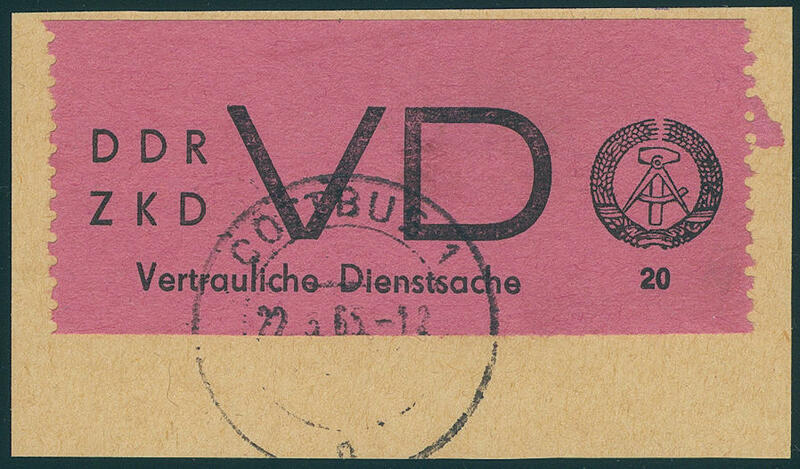 \" to Dresden with arrival postmark. 6284 ✉ 26V 10 Pfg. 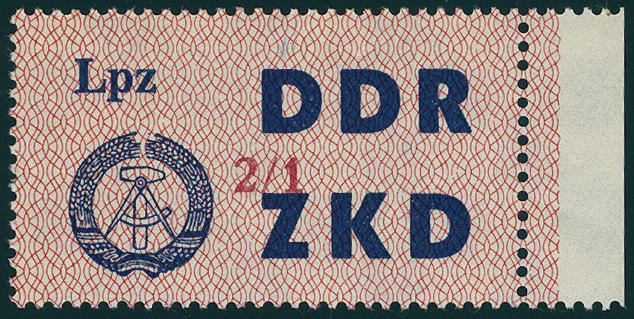 Bright gray blue / black, V (Halle), horizontal pair as faultless multiple franking on beautiful commercial letter from \"HALLE 4.5.60. 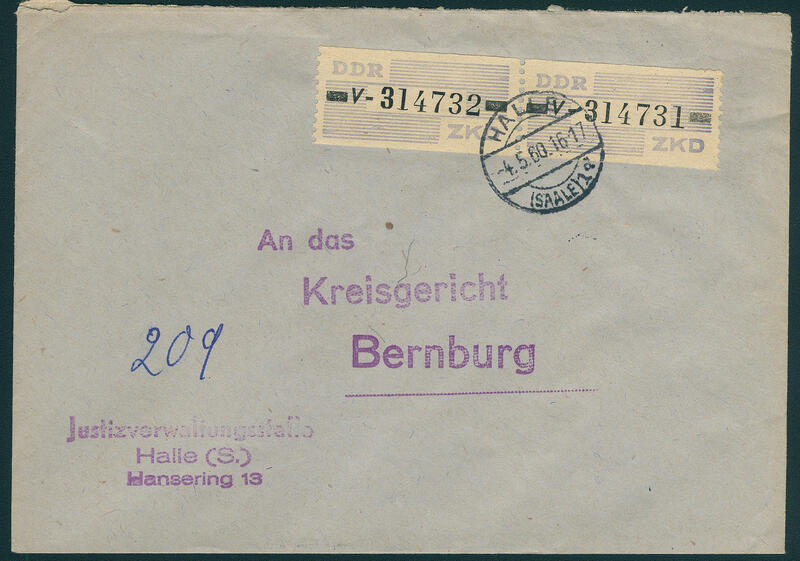 \" to Bernburg with arrival postmark. Rare! 6285 ✉ 28HP 10 Pfg. 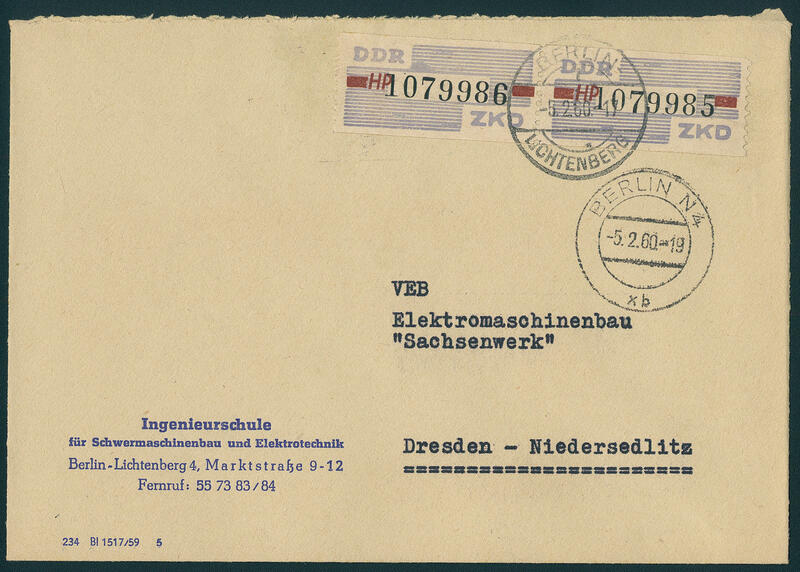 Bright gray blue / brownish red / black, horizontal pair, in perfect condition as correctly franked multiple franking on very nice commercial letter from \"BERLIN lights mountain 5.2.60. 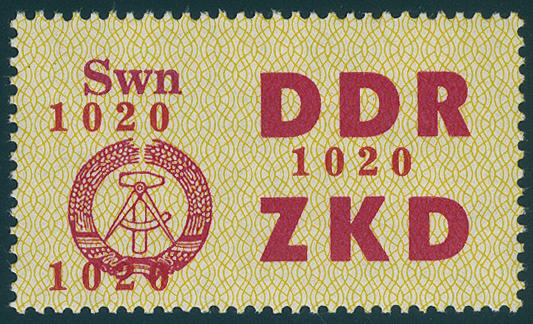 \" to Dresden-Niedersedlitz with arrival postmark. Rare! 6286 ✉ 29Z 20 Pfg. 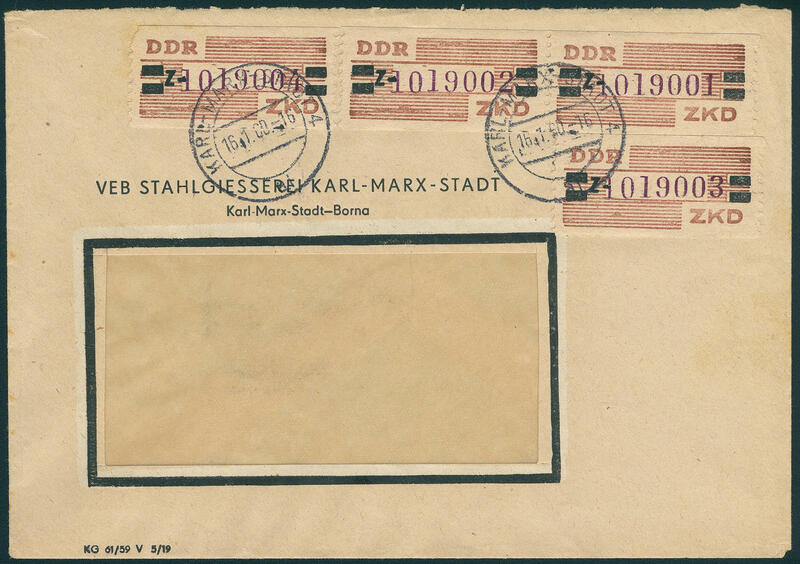 Brown orange / black / dark red violet, four piece as faultless mass multiple franking, a value corner fault, on decorative commercial letter from \"KARL MARX city 16.1.60. 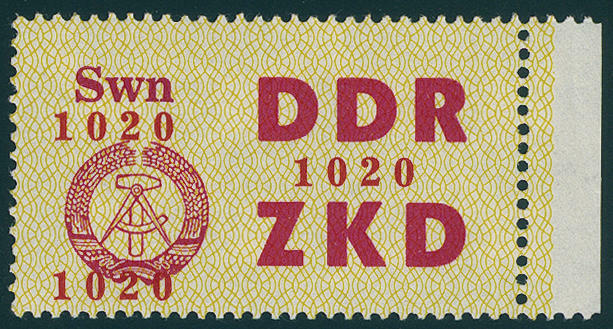 \" with arrival postmark from Dresden. 6287 16/30 Course control receipt 1964, all 17 values, fresh colors and in perfect condition mint never hinged Michel 400,- €. 6288 16/30 Course control receipt 1964, all 17 values uniform from right margin of sheet, in perfect condition mint never hinged Michel 400,- €. 6289 31/45 Course control receipt 1964, all 84 values fresh colors and very well perforated, in perfect condition mint never hinged a scarce issue! Michel 2800,- €. 6290 46/60 Course control receipt 1964 with black number, all 84 values, fresh colors and very well perforated, in perfect condition mint never hinged a scarce issue! Michel 3000,- €. 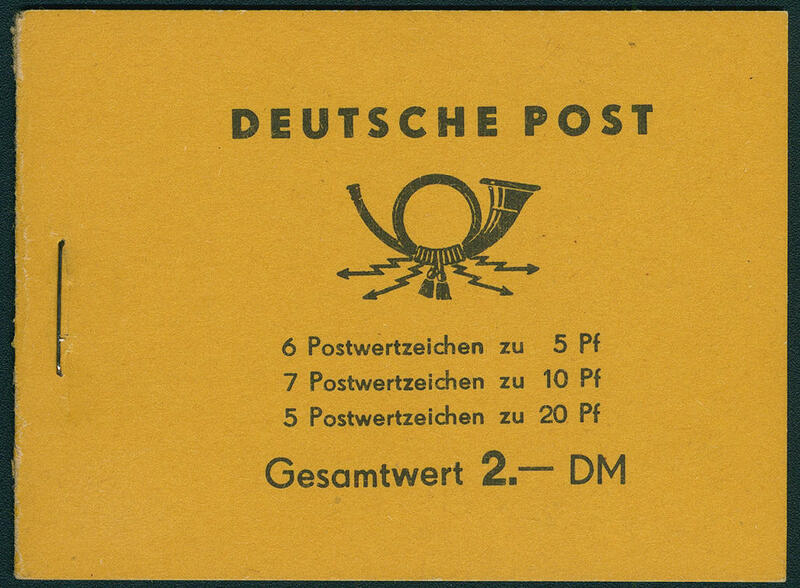 6291 ✉ 46X Berlin, course control receipt with black overprint 2 / 10, in perfect condition on commercial letter from \"BERLIN-LICHTERFELDE 2.7.64. 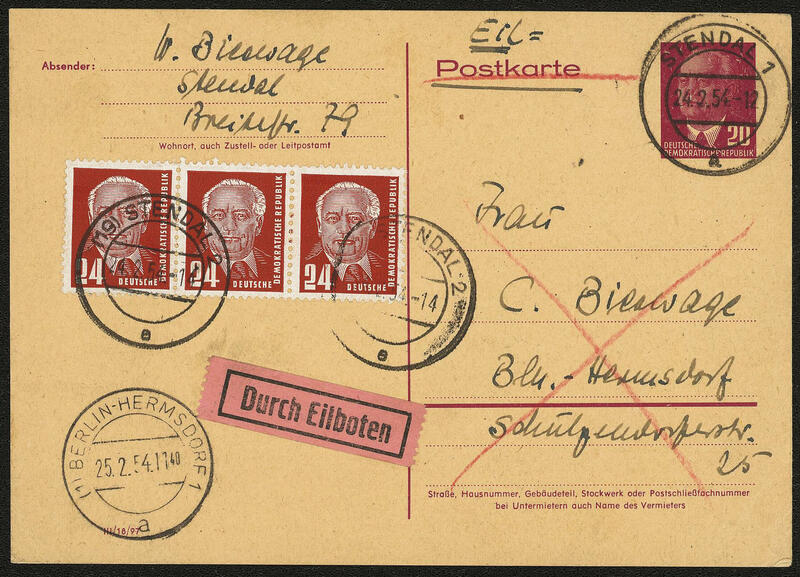 \" with arrival postmark Lutherstad-Eisleben. 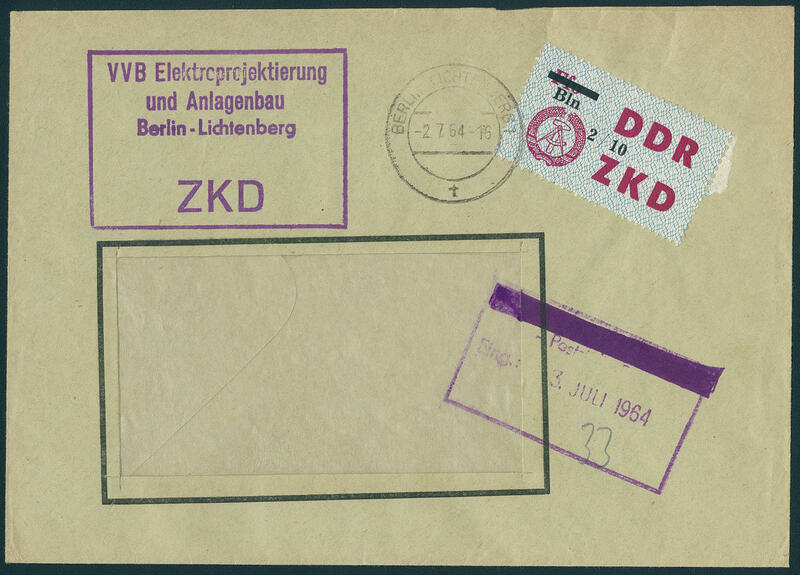 6292 ✉ 54VIII Leipzig, course control receipt with black number 2 / 8, in perfect condition on commercial letter, a little rough opened from \"LEIPZIG\" with arrival postmark Berlin. 6293 2 20 Pfg. Black on pale lilac rose, fresh colors and very well perforated, in perfect condition mint never hinged photo expertize Paul BPP. Michel 2800,- €. 6294 ∆ 2 20 Pfg. 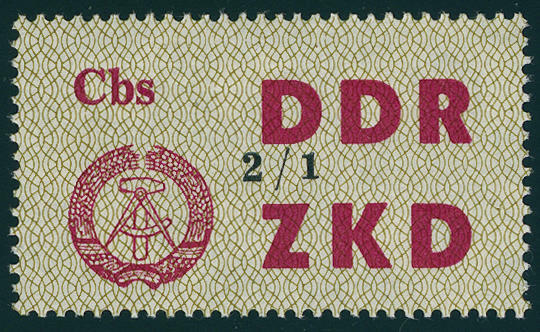 Black on pale rose, fresh colors and very well perforated, in perfect condition on magnificent letter piece, very nice canceled \"COTTBUS 22.5.65. \". Michel 350,- €. 6295 2II 20 Pfg. 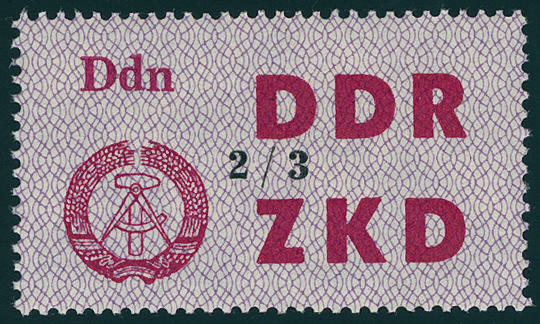 Black on pale lilac rose with extremely scarce plate flaw \"white spot (unprinted place) in the garland of corn\", fresh colors and very well perforated, in perfect condition mint never hinged this plate flaw belongs to the large rarities of the German Demokratic Republik and is only known in very few copies. Due to missing offers in the Michel special catalogue only noted without price. The plate flaw \"missing beard\" becomes with 4000,- €valued. Photo expertize Weigelt BPP. 6296 1 65 Pfg. Bluish green, fresh colors and very well perforated, in perfect condition mint never hinged Michel 300,- €. 6297 ✉ P54 20 Pfg. 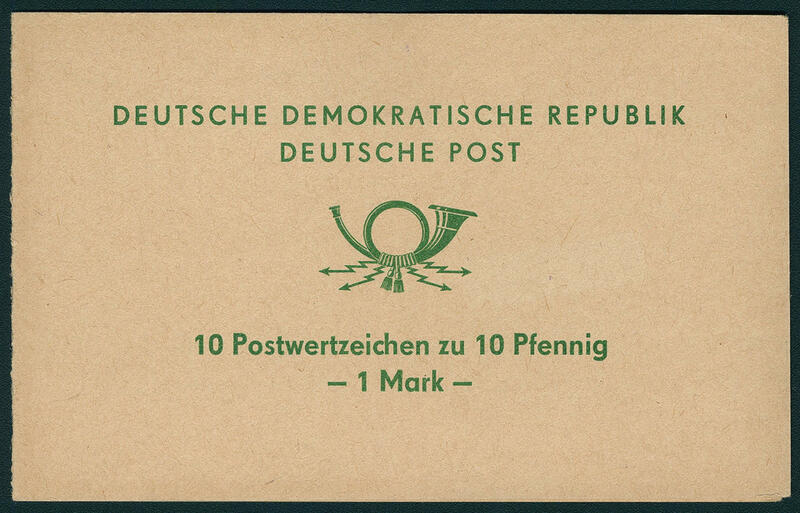 Pieck with additional franking 24 Pfg. 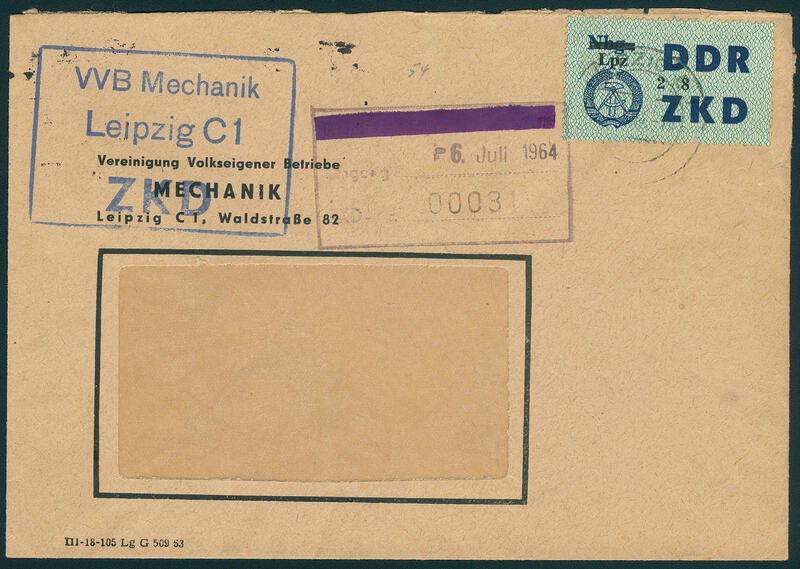 In the strip of three as special delivery postcard from \"STENDAL 24.2.54. 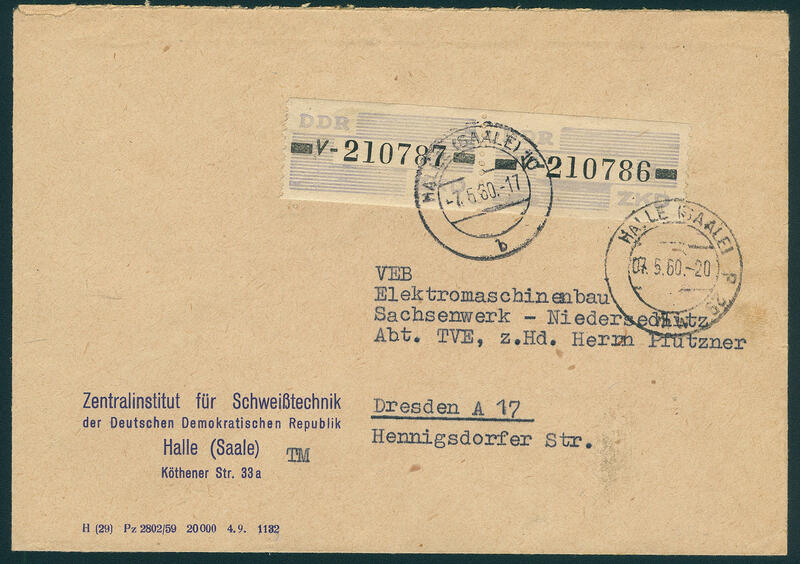 \" to Berlin-Hermsdorf with a lot of text and arrival postmark. Rare! 6298 1b1 Five year plan 1956, in perfect condition mint never hinged Michel 200,- €. 6299 2b1 Five year plan 1957, in perfect condition mint never hinged Michel 150,- €. 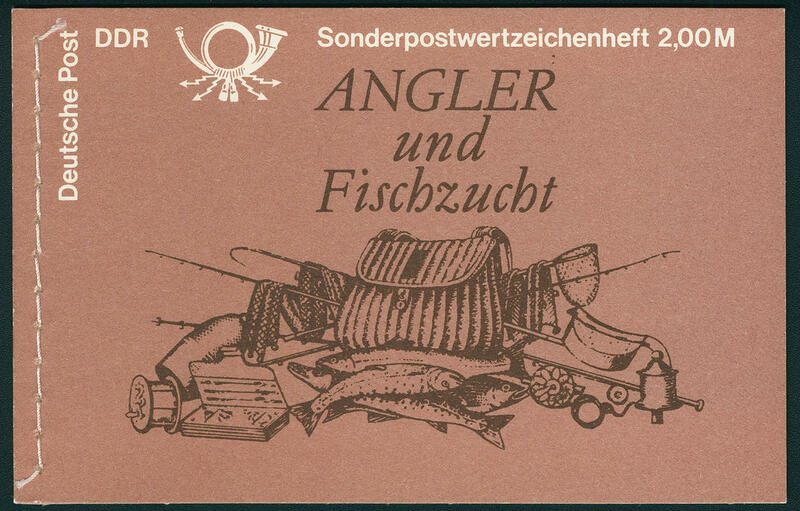 6300 9v6 Freshwater fish 1988, above and right no perforations going through margins, in perfect condition mint never hinged Michel 220,- €. 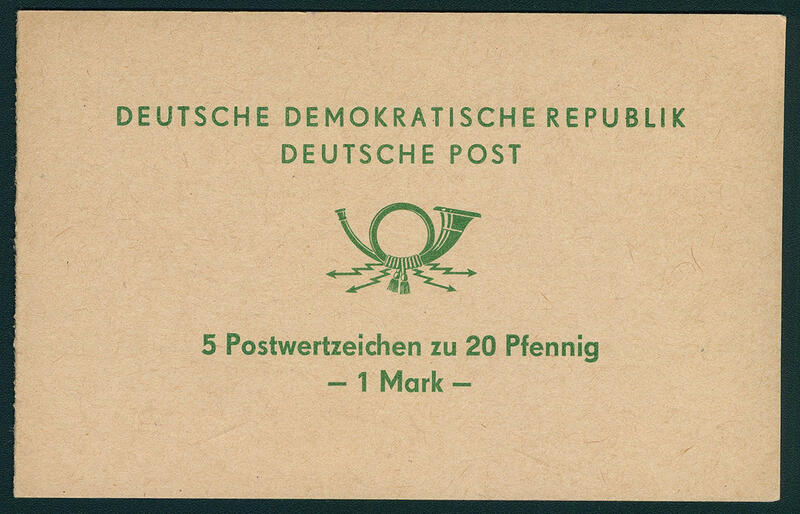 6301 V1b Special stamp booklets \"posthorn\", further distance, in perfect condition mint never hinged Richter handbook 310,- €. 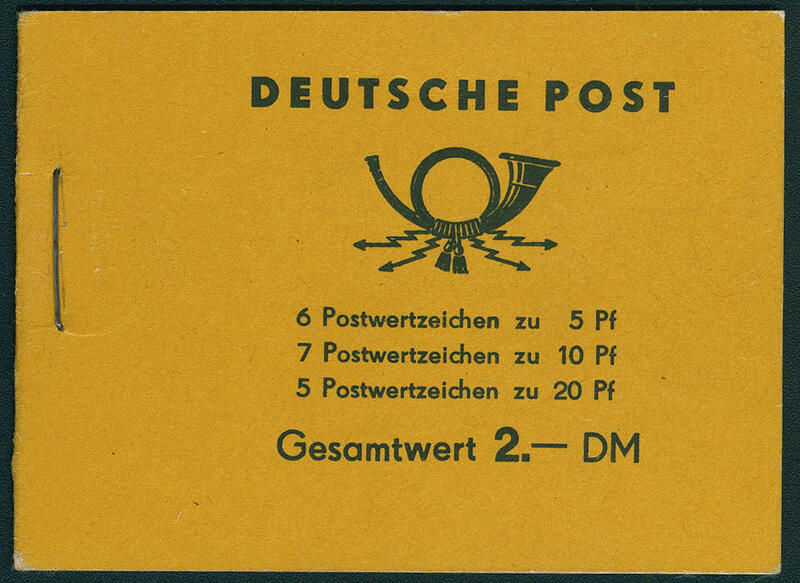 6302 V2 Special stamp booklets \"posthorn\", test booklets, in perfect condition mint never hinged very rare. Richter handbook 1500,- €.